There are three main types of avian mycoplasma, namely septicemia (MG), synovial sac (MS) and turkey. Currently, the main domestic and the former are mainly, which can cause chronic respiratory disease (CRD) and synovial cysticity in chickens. Arthritis (SCA). Mycoplasmosis can occur all year round, especially in autumn and winter and early spring, especially from February to May; chickens of all ages can be infected, with the most serious incidence of chicks; both vertical and horizontal. According to incomplete statistics, after the chickens are infected with mycoplasma, the embryo mortality rate increases by 5%~20%, the chicks' rate of weak chicks increases by about 10%, the laying rate of laying hens decreases by 10%~20%, and the weight of broilers decreases by 38%. The rate is reduced by 21% and the carcass quality is also reduced. There are two ways to transmit Avian Mycoplasma: horizontal and vertical. 1. Horizontal transmission Diseased poultry or infected poultry breathe and cough, discharge a large amount of mycoplasma with mucus, and infect healthy poultry through the air. 2. Vertical transmission The pathogen is transmitted by eggs infected with mycoplasma. At present, the prevalence of mycoplasma in poultry farms has not been effectively controlled, so the vertical propagation mode is more prominent in the prevalence of mycoplasma. Shimu is a China Veterinary Medicine Factory. 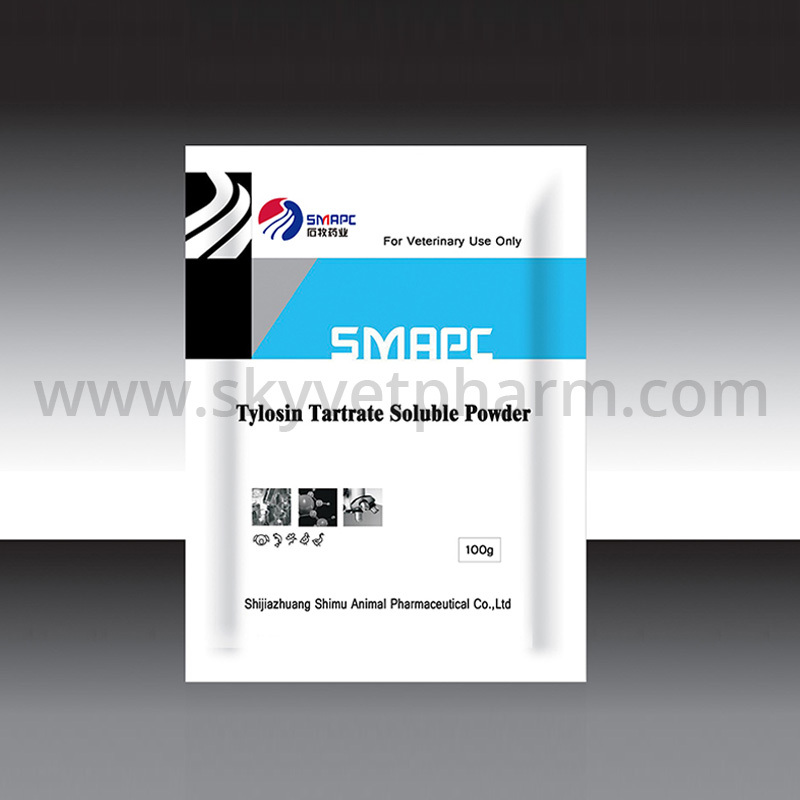 Our Tylosin Tartrate Water Soluble Powder have high quality and competitive prices. Welcome to choose us!